← Free FAT! What Is REALLY Being Sold! Handwritten notes come less and less... but grateful hearts matter most! 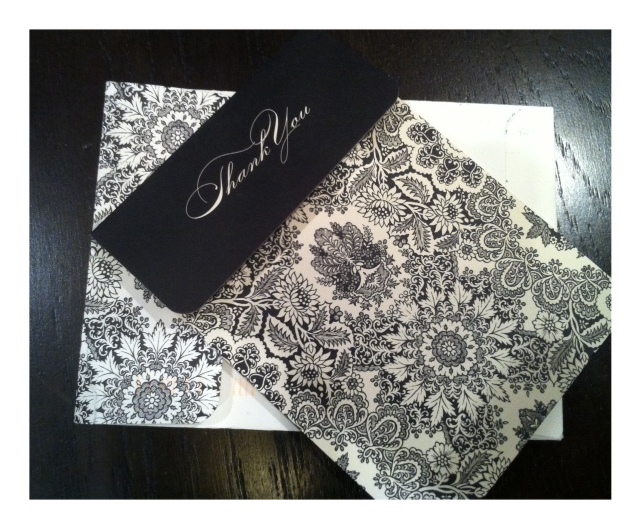 There it was … a beautiful, hand written thank you note. Delivered to my daughter on time, thoughtfully written… perfect. It stirred in me emotions of guilt, frustration and served as a reminder of how far God has brought me once again. I love thank you notes. I used to REALLY love thank you notes. Wow. How shallow! But it’s the truth. I did. I never was one to GIVE to get something in return, and yet… for some reason I felt as though if someone didn’t write a timely, thoughtful, “Thank You”… well, they simply didn’t have a grateful heart. My pride would swell as I made sure all of MY thank you notes would get out on time… never missing a beat in my organizational kingdom of artificial perfectionism. As we added children, I made efforts to keep up my charade. Over the past two or three years, lots of things have gotten fuzzy. Including who I needed to write a thank you note to, and for what. Wow. Now that was thoughtful. Especially to someone with 8 small children, one of them being a new baby. It seems some of the things we end up writing thank you notes for, can actually add stress to an already stressful, and busy time. Wanting to know someone received a gift is one thing… I get that. I just no longer assume someone isn’t grateful, or doesn’t prioritize well if I don’t EVER get a thank you note. Maybe they are just busy serving God in other ways… and mean well? Just. Like. Me. Honestly, I can’t even tell you if someone owed me a thank you any more. I couldn’t keep track of that if I wanted to. I think that’s how you know you have a quiver full. Your heart is full… and your mind is over flowing. Pride and selfishness take a back seat to serving, teaching and serving some more. I think God did that to me on purpose. [ Gee, you think? ] I’m so busy with little people and serving – that things, such as focusing on who owes me a thank you note for what – just never enters the radar. We do require our kids to write thank you notes for gifts. I’m sure I’ve missed a few of those over the years too. (So if you’re reading this, and we’ve forgotten you – please, know we are still grateful and love you!) and Please accept my sincerest apologies! The great news is … God doesn’t require a thank you note for what He has done for us…. for ALL He has given us. He doesn’t keep score either, like I often did. Instead, He just asks that we have a grateful spirit. That we acknowledge our Maker. I think a GREAT “thank you” to God is just using what He has already given us. Our minds, our bodies… our Spirits – to serve and glorify Him! How are those workouts coming? Have you checked out even those little 10 minute workouts? Praying you’re having a peaceful week before Christmas! Posted on December 18, 2011, in Change, Our Struggles and tagged Pride, reasons to be healthy, worship in body. Bookmark the permalink. 2 Comments. I used to be a hawk in this regard too, but then…2.5ish years ago I had a baby shower, followed by baby’s arrival and then my nightmarish illness. Cards that I had started, I found two years later. And many that should’ve been started, for the people who did SO MUCH, never did. Granted, circumstances were extreme, but many people who went to the shower had no idea. After that, I kind of got to the same point you have and try to not expect it, so that if I get a card, it really matters, and if I don’t, it’s a-ok too. For my personal behavior, however, I DO try to make it a point of thanking people as much as I can (and actually remember to do) verbally, and/or electronically (FB/e-mail, etc) to help even out the times I don’t quite get to the actual written card. I remember that. Not fun times. It’s amazing the ways God uses to humble us – and also grow us. I’m glad for all of the hardship and struggles we had… it helps you to realize who and what matters in life. Praise be to Him!